MIV d.d. 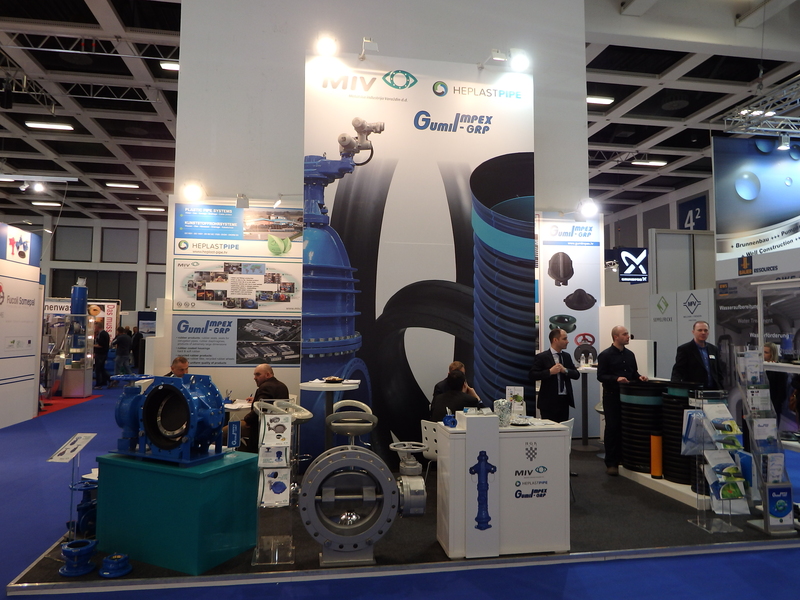 exhibited at the specialized European exhibition Wasser Berlin, where the renowned producers and distributors from the water supply and drainage area exhibit bienially. MIV d.d. exhibited at the shared booth with the companies Gumiimpex GRP d.d. and Heplast-pipe d.o.o. The visitors were very interested in the diverse product range offered by the producers, it consisted from the armatures, fittings, seals and plastic pipes, therefore the booth attendance was high. The companies were honored by hosting the ambassador of the Republic of Croatia in Germany, Mr. Ranko Vilović.